Get creative with this Ice Cream Dough Bar Set. Create lots of different ice creams and treats with the brightly coloured play dough. 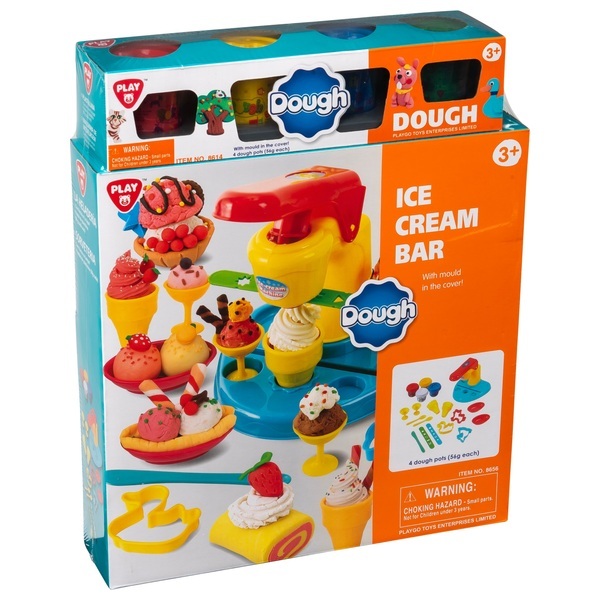 The Ice Cream Dough Bar Set comes with 8 tubs of brightly coloured play dough and a mixture of 15 different shapes, cutters and parts. See what delicious play dough treats you can make. EU Warning: Not suitable for children under the age of 3 years due to small parts which could cause a choking hazard. Always protect cloths, carpets, work surface, furniture and other objects to prevent stains. Do NOT eat.